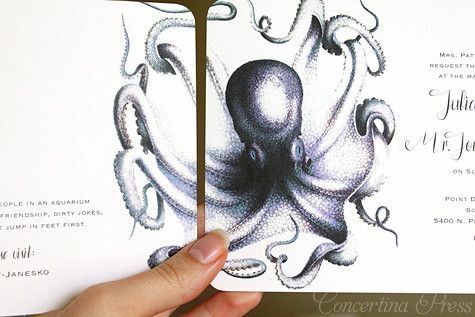 Concertina Press is a nautical invitation and stationery company founded by Ruth Bleakley, a designer who after living on Cape Cod for 11 years recently relocated to sunny Cocoa Beach, Florida to be closer to family. 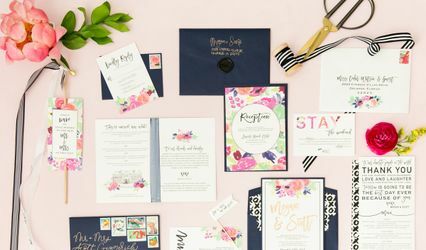 Ruth has a BFA in Studio Art and spent several years designing stationery and invitations at a small stationery shop on the Cape in Falmouth, and is well acquainted with the design process from initial concept and client meetings to final print production. You can read more about Ruth here. 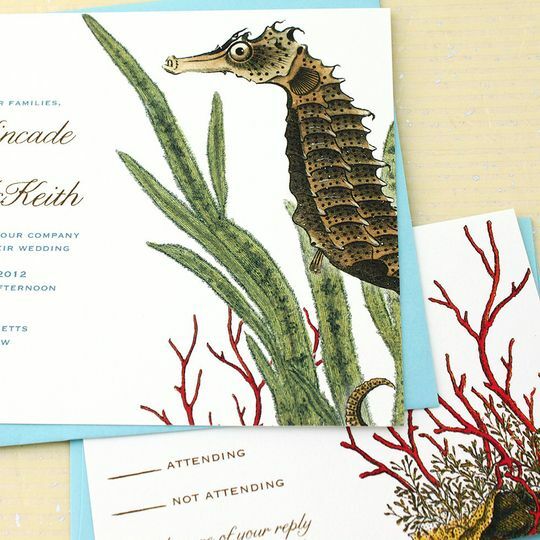 Concertina Press is a nautical stationery company specializing in unusual beach wedding invitations featuring antique scientific illustrations and maps. 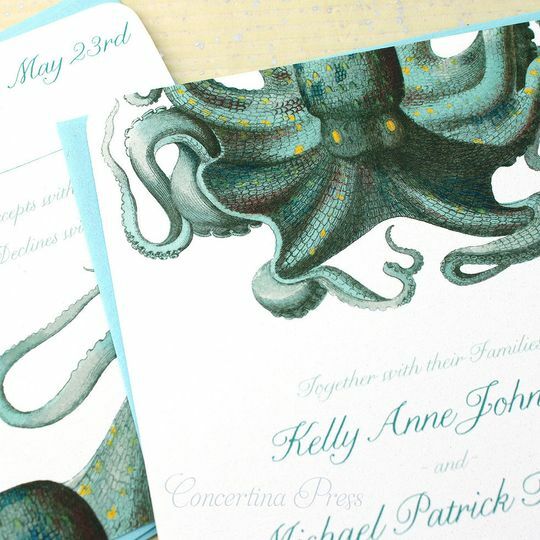 Her Octopus Wedding Invitations, Jellyfish Invitations and Sea Turtle wedding invitations are particularly popular for Aquarium weddings, and her Waves Wedding invitations are popular for Beach weddings. 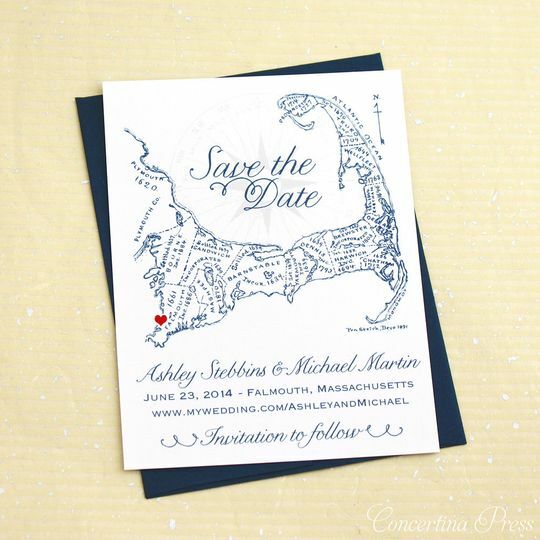 The Cape Cod Save the Date design is a timeless classic that can be personalized with a heart over the town you're getting married in, and it has a matching Cape Cod Wedding Invitation. 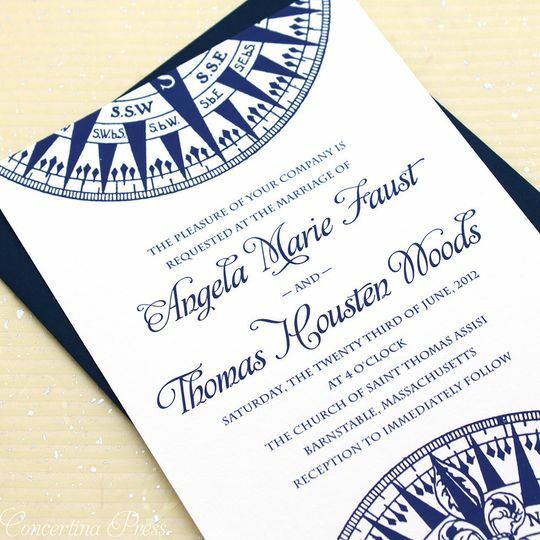 If you're looking for a good combination of the ease and convenience of online ordering with careful personal attention for your nautical or beach themed wedding invitations, check out Concertina Press Wedding Invitations & Stationery. 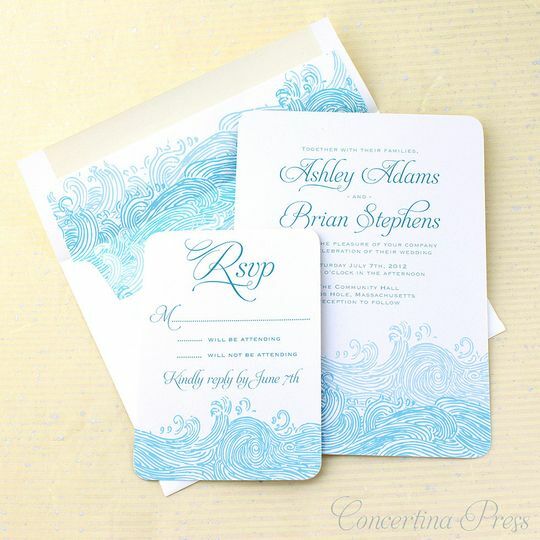 waves wedding invitations - perfect for a beach wedding or destination wedding! Easiest part of planning our wedding. 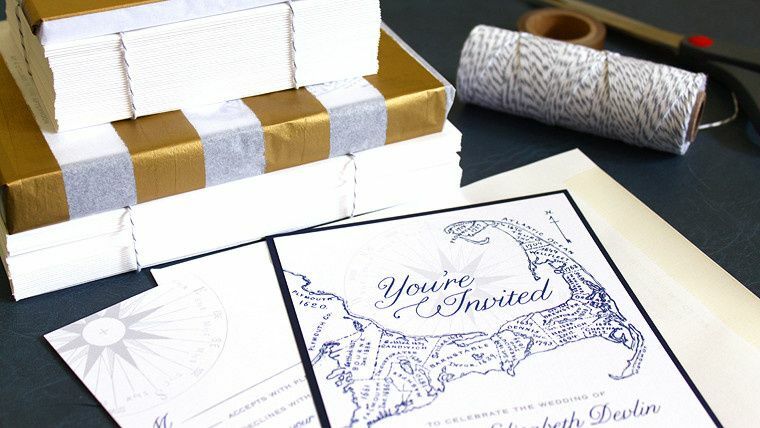 Ruth was helpful throughout the whole process, and the invitations were beautiful. We had so many compliments on the invitations. 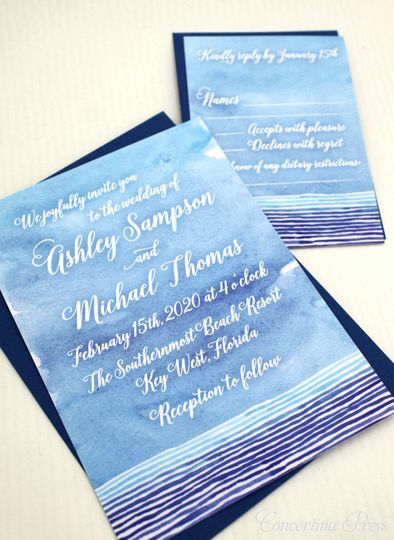 The wave design went so perfectly with our theme, we decided to order place cards and thank you cards as well. 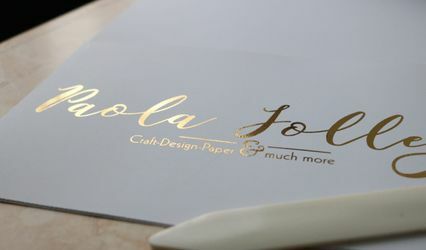 I would definitely recommend to any bride or groom searching for quality sea inspired stationary. I will reorder for any stationary needs going forward. 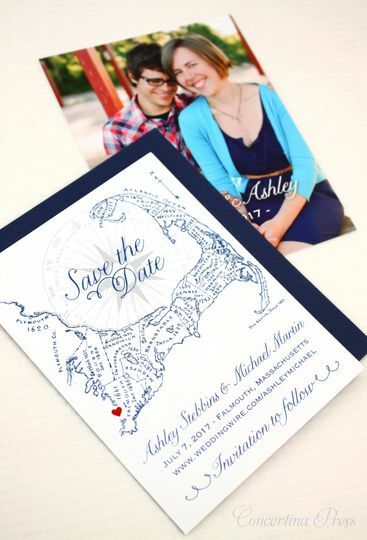 I ordered save the date cards, invitations, and wedding announcement from Ruth and all were beautiful. She even found a new image that was specific to our seaside venue! We received so many compliments about her unique designs. Ruth was also a pleasure to work with--communication was prompt and professional and I received everything I ordered in a timely way. 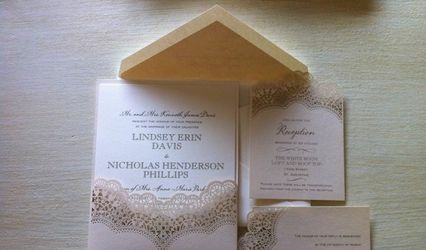 I was initially hesitant to order invitations sight unseen but it's possible to request samples which show the high quality of the products. Thank you so much for your kind review Liz, I had a great time working with you to create the perfect stationery for your wedding in Hawaii! Wishing you and Samuel all the best! Ruth has provided some of the most unique and impactful designs that I&apos;ve seen. Nautical, modern and natural, and with that something extra that we&apos;re all looking for to stand out from other events. 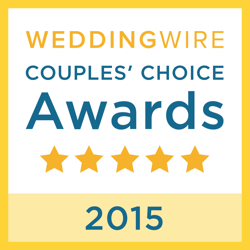 I highly recommend Ruth and her incredible designs to any couple I work with!